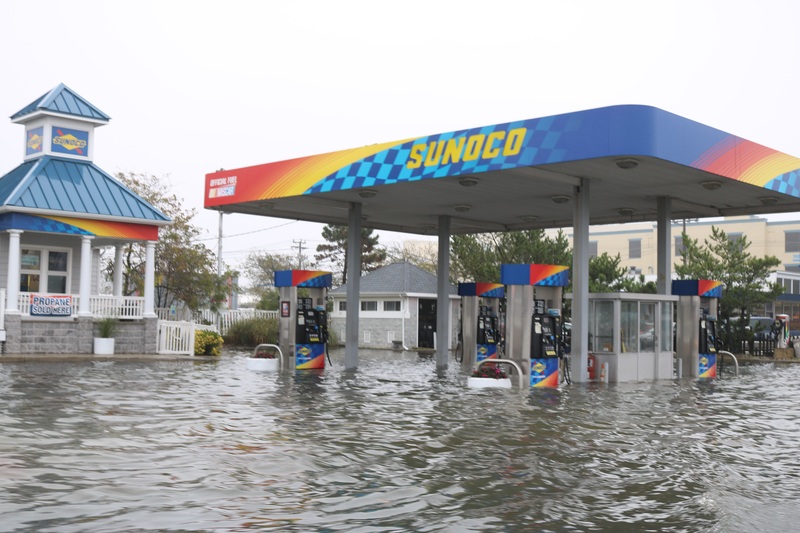 Stormwater swamps the gas pumps at a Sunoco station on Ninth Street during the height of flooding Saturday morning. 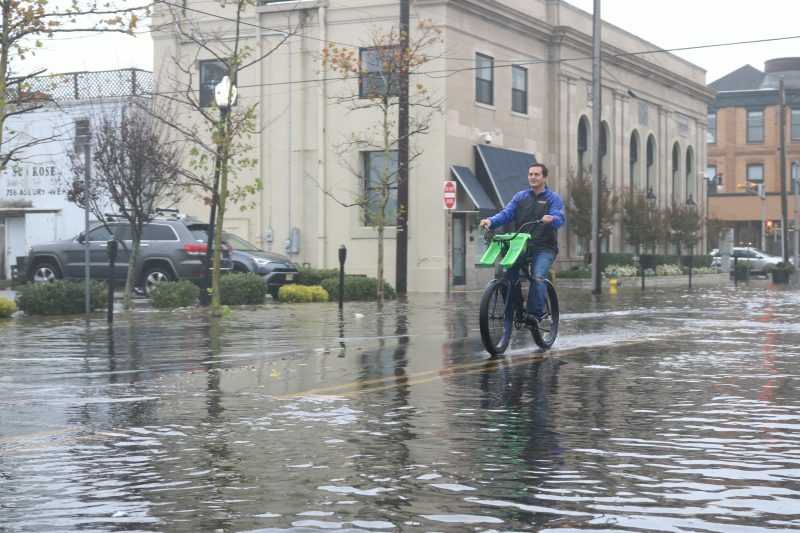 Dominick Dougherty had only one more block to go on his bike ride home, but he encountered a huge problem: A wall of water stood in his way. 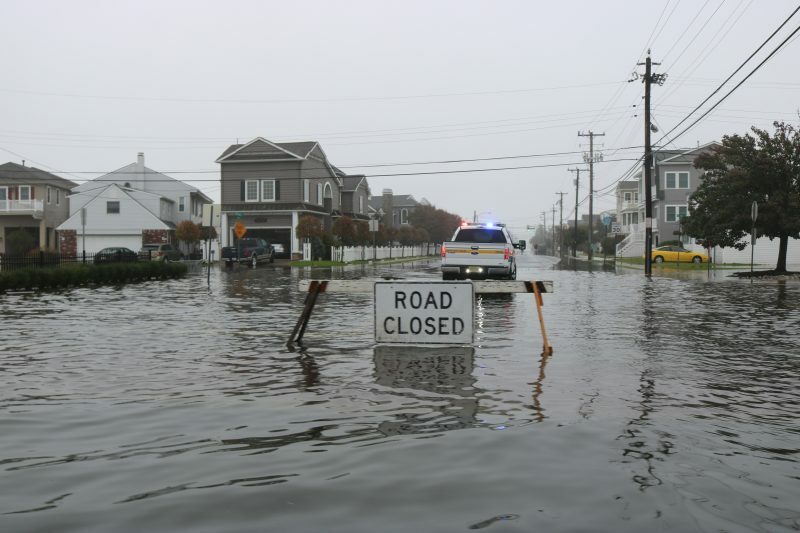 Eighth Street, where Dougherty lives, had been turned into a virtual river Saturday morning by the strong coastal storm that lashed Ocean City with gusty winds overnight and extensive flooding during the day. 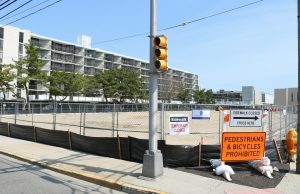 Only 45 minutes earlier, Dougherty had ridden his bike from his house to the Boardwalk with little trouble. He is a surfer and wanted to check out the waves kicked up by the storm. But on the ride back, the rapidly rising floodwaters made some roads impassable and cut off his path home. “Well, I guess I’ll go up Ninth Street, use some side streets and then jump on Bay Avenue,” Dougherty said, plotting a way home around the flooding. Dominick Dougherty tries to figure out a way home while encountering floodwaters on Eighth Street. 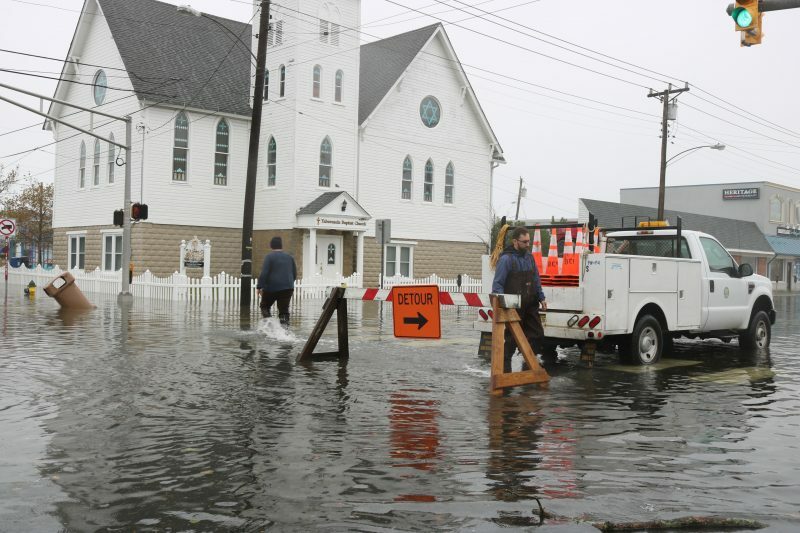 The potent nor’easter combined drenching rains, wind gusts hitting 55 mph overnight and flooding at high tide the next morning that was higher than predicted. The National Weather Service had predicted a level of 6.5 feet on the mean low water (MLW) scale for high tide at 10:33 a.m. Saturday on the bay side of Ocean City. However, the actual figure was about 7.25 feet, Donato noted. During the flooding unleashed by the powerful nor’easter Jonas in January 2016, the MLW hit 7.6 feet. In comparison, a typical high tide with a full moon is about 5 feet, Donato said. Aerial video shot by Ocean City resident Stephen Swerline using a drone revealed dramatic flooding in the Merion Park neighborhood over Victoria, Bartram, Oxford, Pembroke and Westminster lanes. 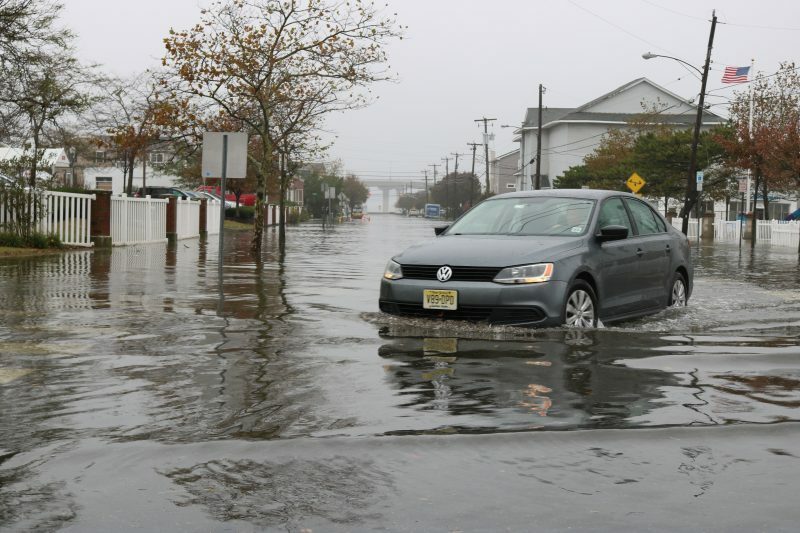 Footage of the flooding in Ocean City…. At one point, the Ocean City-Longport Bridge was closed due to flooding on the Longport side of the span. The Police Department issued a public statement shortly after 3 p.m. announcing that all bridges into town had reopened after the floodwaters receded. 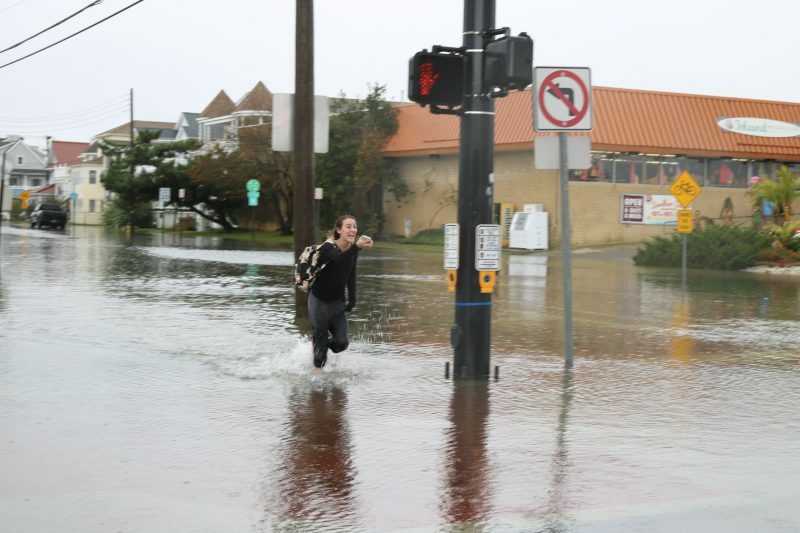 Ocean City’s downtown streets were underwater on some blocks. 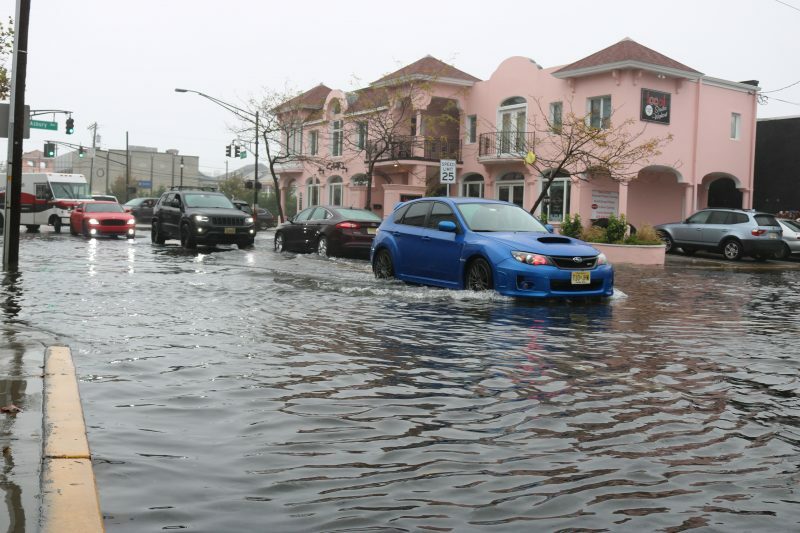 Traffic crawled through floodwaters on the Ninth Street entryway into town as well as heading out of the city to the Route 52 causeway bridge. Detours and “Road Flooded” signs were commonplace. 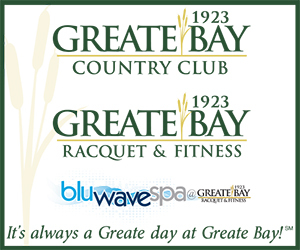 “It’s throughout town, particularly throughout the bay side of town,” Donato explained of the flooding. High winds overnight brought down a few utility lines. A transformer blew out at 29th Street, but there were only a few power outages, Donato said. “Road Closed” signs like this one on Bay Avenue sprang up on flooded streets throughout town. Motorists took their chances inching along flooded streets. Ocean City resident Elizabeth King’s 2003 Chevrolet Impala died on West Avenue near Eight Street after she drove through stormwater. 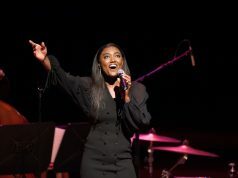 “The crazy thing is, people passed right by me and no one helped me,” King said while waiting in her stalled car. King’s niece, Amber Costello, was able to push the car by herself from Seventh to Eighth Street, but got no farther. King and Costello waited for help until Police Officer Jacob Johnson arrived at the scene and pushed the car into a nearby parking lot. 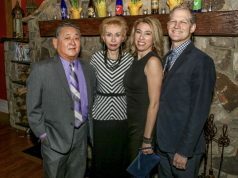 Chris Hartman, manager of Wiesenthal’s Auto Service at the corner of Ninth Street and West Avenue, watched as traffic crept past his service station through floodwaters on the Ninth Street corridor, the main artery in and out of town. “You can’t even get to the bridge because of all of this water,” Hartman said to a tow truck driver who stopped at the service station. Traffic crawls through floodwaters on Ninth Street in the downtown business district. 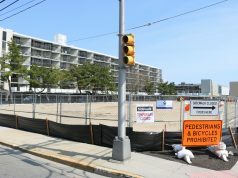 Hartman, though, said Saturday’s storm was not nearly as serious as the flooding that swamped Ocean City during Hurricane Sandy in October 2012. “Nothing was as bad as Sandy. We had water up to here,” he said, pointing to his thigh. Although the flooding didn’t reach Sandy-like levels, Hartman fully expected that his service station would be getting calls throughout the day from stranded motorists in need of a tow truck. “Not yet. But it’s coming,” he said around 12:30 p.m.
A pedestrian wades through deep water at the corner of Ninth Street and Bay Avenue. A motorist ventures through flooding while turning onto West Avenue from Eighth Street. One city worker erects a detour sign in a flooded section of West Avenue, while another prepares to remove a trash can swept into the street by stormwater. 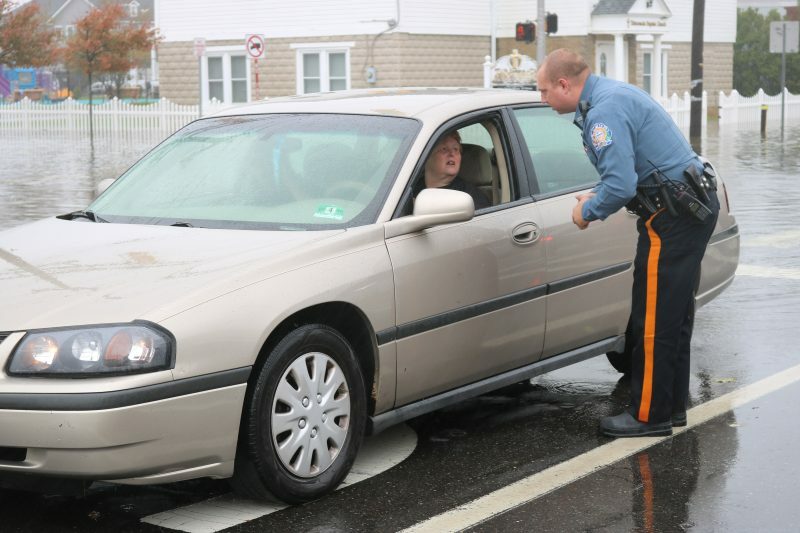 Police Officer Jacob Johnson helps out Ocean City resident Elizabeth King when her car stalls on West Avenue after driving through stormwater.